Heart problems become a real concern with each passing year. There are so many contributing factors that can cause harm to our heart that it basically is under constant threat. Our heart pumps the fuel for our entire body to function, and a weak heart ultimately contributes to a weak body. Blood pressure, cholesterol, arthrosclerosis, blood clots… These are all key factors that can lead to the heart’s demise. So if you want to improve your heart health as much as possible – and really, who doesn’t? – a new study says this is what you need to add into your diet. Consuming fresh fruit daily has been found to protect the heart and reduce the risk of stroke. 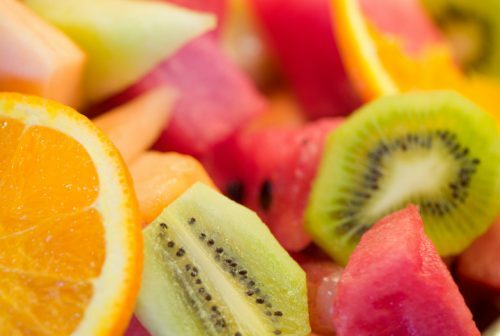 The findings come from a large Chinese study where researchers found that those who ate fresh fruit every day reduced their risk of heart-related death by one-third – in comparison to those who rarely consumed fresh fruit. Furthermore, those who ate fresh fruit most often had lower blood pressure and blood sugar levels, compared to infrequent fruit eaters. The researchers collected data from over 500,000 adults with no prior history of heart disease. Less than one in five adults ate fruit daily. Over the course of the seven-year study, participants who ate roughly half a cup of fresh fruit daily had much lower risks of cardiovascular disease, compared to those who ate less fruit or rarely consumed any. Aside from incorporating more fruit into your daily meal plan, other heart-protecting tips include exercising regularly, not smoking, minimizing your alcohol consumption, and controlling blood sugar and sodium in your diet.